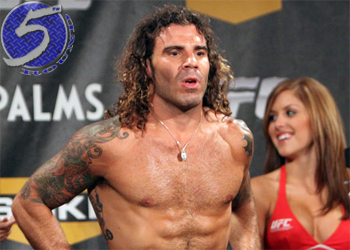 In an attempt to steal Brock Lesnar and Alistair Overeem’s thunder, 5thRound.com has confirmed a lightweight scrap between Clay Guida (Pictured) and Ben Henderson has been verbally agreed upon for the UFC’s debut on FOX. Kevin Iole of Yahoo! Sports was the first to report the November 12th matchup. “The Carpenter” hung a convincing unanimous decision win over Anthony Pettis at “The Ultimate Fighter 13 Finale” this past June. Guida holds an impressive 29–8 record and will be riding a four-fight winning streak into the Honda Center in Anaheim, California. FOX’s hour-long broadcast will only air the heavyweight title affair between champion Cain Velasquez and Junior dos Santos live. The UFC intends to show some other fights on the card, however the means in which they intend to do so have not yet been determined.